Dez Bryant has dominated the conversation for NFL free agency during the 2018 season. Many are surprised that a talent WR such as Bryant still does not have a job midway through the season. As certain teams offenses struggle, fans will constantly fill up the message boards and radio talk shows with signing recommendations. How much truth is there? At this point in the season, bringing in a fresh WR would require time to learn the playbook. 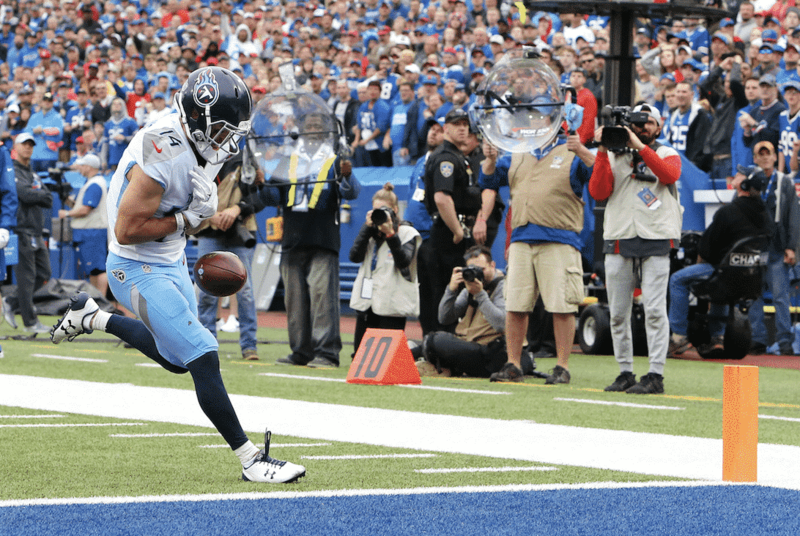 Currently in the bye week, the Tennessee Titans are one of these struggling offenses that has a desperate need at skill positions on the outside. Let’s look at some current free agent WRs compared to the Titans current roster. Notes: Dez Bryan’ts worst career season would be a career year for any current Titans WR. This alone should be a no brainer to bring in someone with the talent of Dez Bryant. It’s baffling that the Titans have yet to even call or workout this former 1st round WR. Bryant would offer a redzone threat unlike anything the Titans have had in a very long time. Notes: Corey Coleman is a curious case study. Coming from Baylor a few years ago, Corey Coleman was one of the most hyped WRs in his class. Injuries hampered his production early in his career. When Corey Coleman is not injured, he has been pretty productive. The Browns shocked fans by trading him to the Buffalo Bills in the preseason where he later was cut. This is even more of a mystery. Corey Coleman would clearly be a starting WR for the struggling Bills offense. Notes: Brandon Coleman big, strong, and fast. Who wouldn’t want that body type as a WR on your favorite team? Comparing him to the top current Titans WRs Corey Davis and Tajae Sharpe, Brandon Coleman has 400+ more yards and twice as many touchdowns as either Sharpe or Davis on the same number of targets. Notes: Jeremy Maclin’s production has declined over his last couple seasons. An aging WR of his talent is still better than the young group of nobodies the Titans have in the WR corps. 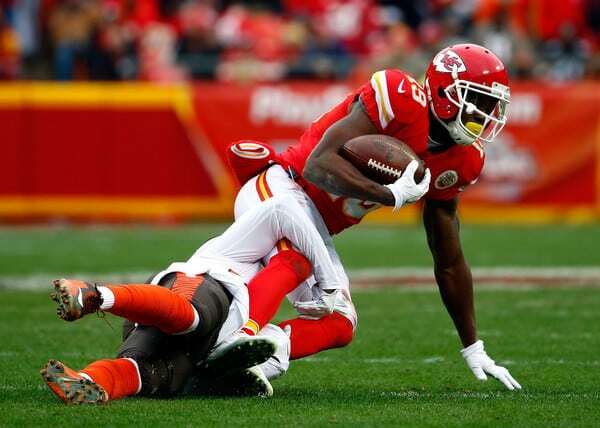 Maclin wouldn’t be very expensive nor would require a long-term deal. Give him a shot! Notes: With the recent trade of Amari Cooper to the Cowboys, Brice Butler was cut to make a roster spot. The reason for adding Butler is the same as Brandon Coleman: he’s nearly twice as productive as Davis or Sharpe on the same number of targets. Analysis: It is still too early in Corey’s career to label him a “bust.” Though if I had to label him today, I would label him as a bust. The Titans used the 5th overall pick in the draft to select a WR that has yet to outproduce a WR they selected two years before in the 5th round (Sharpe). Corey Davis appeared to be coming into his own in Week 4 against the Philadelphia Eagles in a game in which he record 9 receptions for 166 yards and 1 TD (walk-off, game-winning touchdown too). Since that game against inferior teams, Davis has disappeared altogether failing to reach 50 yards or the end zone in the next 3 games. Davis appears to be a WR2 in the NFL. Analysis: Taywan Taylor is like a box of chocolates, you never know what you’re going to get. Taylor is hot or cold. There is not in between. He will surprise you with his deceptive open-field speed. On the next series, he’ll take an easy pass through the hands, off his helmet for an interception. Analysis: The most productive WR currently on the team is not Corey Davis. It is Tajae Sharpe. Sharpe struggled with drops his rookie year but has improved. He’s the only current WR on the team not in the dog house for a game-killing drop this season. Analysis: Jennings is nothing more than a punt returner. He’s fast. That’s where the positives end. Analysis: Why is Cameron Batson on the roster? He signed from the practice squad once Nick Williams was cut for dropping the game-winning pass in Buffalo. Batson is just a punt returner. The Titans already have 3 better punt returners on the team in Adoree Jackson (CB), Dion Lewis (RB), and Darius Jennings (WR/PR). This move by the GM makes no sense. He’s only received 1 target all season! Analysis: Nick Williams single-handily lost the Week 5 game against the Buffalo Bills. Late in the 4th quarter, the Titans were trailing 9-10. Nick Williams dropped the easiest pass you’ll ever see in the NFL in the end zone on 3rd down forcing the Titans to kick a field goal. The Bills would drive the field and kick a field goal as time expired defeating the Titans 13-12. Nick Williams was cut the next day. Why aren’t the Titans making a move? The WRs on the roster are clearly hampering the production of QB Marcus Mariota and the offense. Crucial drops by the WR on 3rd down or in the end zone have already cost the Titans 2-3 games. How much longer with Jon Robinson, GM, give these scrub WRs opportunity? The fans are fed up.